ActiveSync is software which provides a communication path between your PC and your Navigator. It runs only on Microsoft Windows XP and earlier operating systems. Official Support for Windows XP has now ended. Microsoft stopped support for Windows XP on April 8th, 2014. Remember, to make the connection in ActiveSync, the HN5 model Navigators MUST be set to Sync Mode for the connection to work. 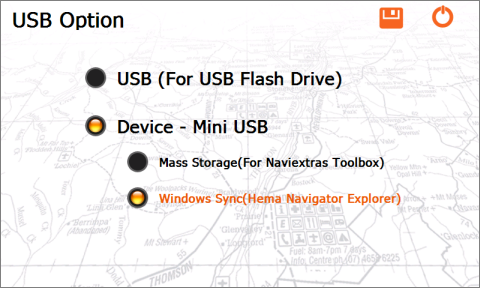 When you first plug the Navigator into the PC USB port, the Mode Selection screen appears. After plugging into the PC, the mode selection screen only appears for about 5 seconds. 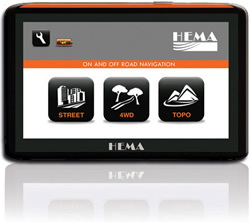 Tap the Center GREEN button on the Navigator screen when the Navigator is first connected to the PC USB port. If you do not choose one of the three modes, the Navigator defaults to the Sync Mode connection, so you can either tap the icon, or leave it to automatically connect in Sync Mode. 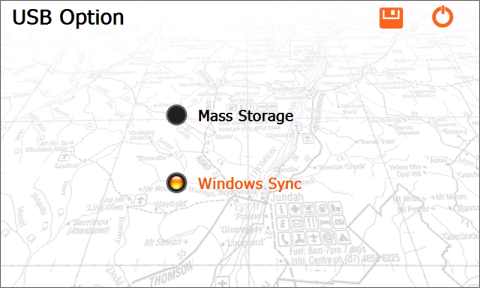 Remember, to make the connection in Windows Mobile Device Center (WMDC) or ActiveSync, the HN6 model Navigator MUST be set to Sync Mode for the connection to work. For connection via ActiveSync, the Windows Sync option must be selected on the HN6 USB option screen. Remember to tap the Save settings button after making a change. For connection via ActiveSync, the Windows Sync option must be selected on the HN7 USB option screen. Once you have installed Microsoft ActiveSync on your Windows XP PC, it should start up when you plug the Navigator in. You can start it manually from the Start Menu if you prefer. The first time you plug in the Navigator after installing ActiveSync may take a little longer, as the drivers need to be installed before ActiveSync can access the Navigator. ActiveSync shows that there are no devices connected. You will also see in the System Tray (at bottom-right corner of Windows XP Desktop), that there is an ActiveSync icon. The icon is coloured GREY when there are no devices connected, and GREEN when a device is connected. Once your device is connected, ActiveSync will prompt you to set up a partnership between your device and the PC. You do not need to set up a partnership to use the Navigator via ActiveSync! Click the No radio button, and then click the Next button to complete the connection (without a partnership being formed). Simply click the OK button on this warning window to continue. Once the connection is established, you will see the new status in the ActiveSync window, as shown below. You will also notice that the ActiveSync icon in the System Tray is now GREEN, also indicating that your device is connected successfully. Notice that you are connected as a Guest (as opposed to establishing a partnership). 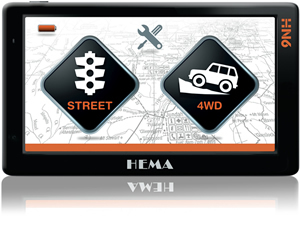 This is all that is required to establish a usable connection between the Navigator and the PC. Clicking the explore button will allow you to browse the content of your Navigator using Windows Explorer as you would any other storage device. 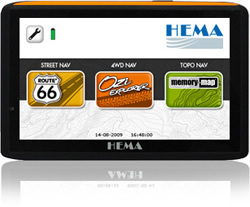 Do not delete files or folders stored on your Navigator unless you fully understand what you are doing! 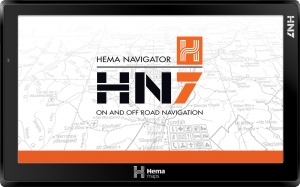 Deleting critical files or folders stored on your Navigator may cause issues loading maps, or cause it to stop functioning, or both, requiring service with associated costs. Sometimes it seems to take a few tries before Microsoft ActiveSync behaves itself. Re-install ActiveSync by double-clicking the installer. It should be where you saved it to when you downloaded it from our website above.